The basic principle of Public Bank gold investment mechanism is based on convenience of buying units of physical gold without taking actual physical ownership and worrying where and how to store it. 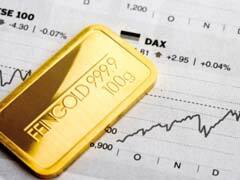 You can open a gold investment account in a Public bank or May Bank in Malaysia. Both banks offer pretty similar and straightforward account rates and investment rules and you can not definitely say that Public Bank gold investment account rate is better or worse. Both banks impose a minimum initial purchase of 20 grams of gold and identical subsequent purchase limits at 5 grams of gold. Gold account withdrawal options are identical and you can choose from a variety of options. To determine precise Public Bank gold investment account rate at a certain date, compare their gold selling and buying prices against the current spot price of gold to determine whether the difference is reasonable. You can do a similar calculation on May Bank’s prices to see which one is better on a given day. Ultimately, the decision which bank account to choose for gold investment is all yours, however it’s important to know that Public Bank Gold investment account rate is better if you are planning on continuously investing, otherwise you might be incurring an annual fee if you have less than 10 grams of gold at the end of the year. If you would like to learn your options as to buying physical gold in Singapore, scroll over to read our article on this topic.